The 21st World Cup will begin in Russia. Fans around the world are gearing up for their biggest quadrennial festival wearing all kinds of wholesale clothes to support their favorite team. Every World Cup is a stage for legends to play out, and human joys and sorrows are displayed in a small football field. As the train of light slowly passed by, it would become a common memory for fans all over the world and remain in people’s minds for a long time. 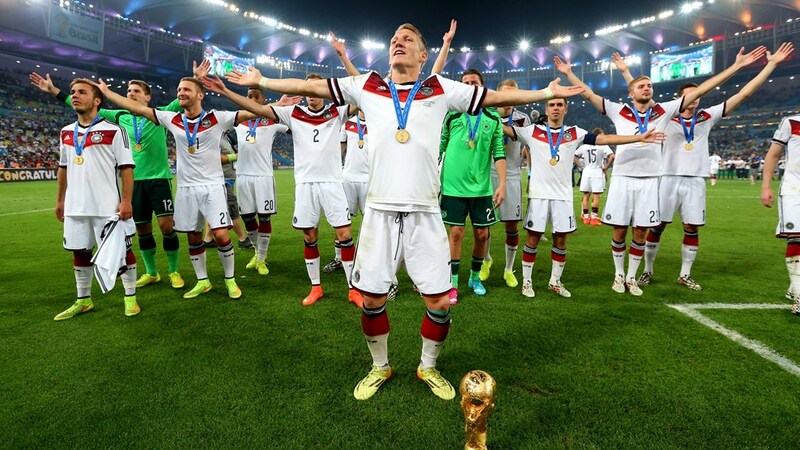 Let’s review some of the most memorable moments of the World Cup. On July 18, 1930, the first FIFA World Cup was held in Montevideo, Uruguay. 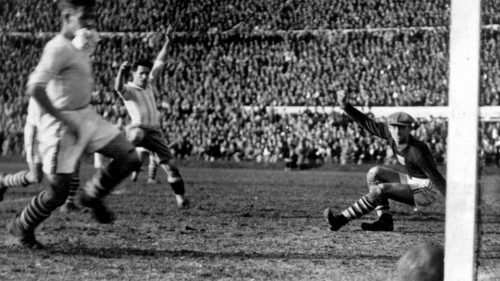 The 1930 World Cup semi-final, Argentina 6:1 beat the United States team, Argentina’s Guillermo Starby scored the sixth goal. Uruguay 4:2 defeated Argentina in the 1930 World Cup final. 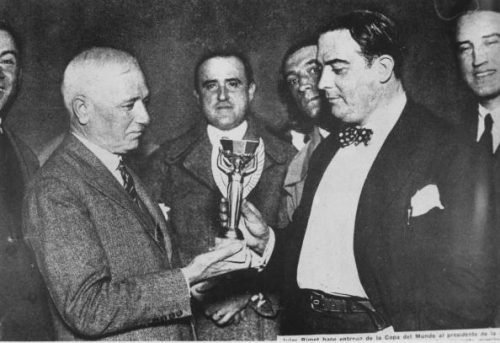 The President of FIFA, Jules Rimet introduced the trophy to the Uruguayan Football Association president Raul Jude. Italy won the championship with 2:1 victory over Ceskoslovensko in overtime. The players held coach Vitorio Pozzo high on their shoulders to celebrate the victory. 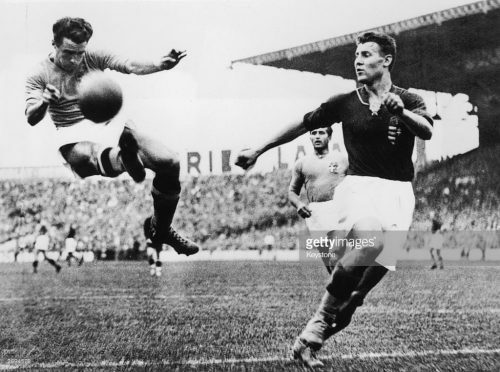 Alfredo Foni (left) of Italy tried in vain to reach across during the FIFA World Cup Final against Hungary played in Paris, France. Italy won the match and trophy 4-2. 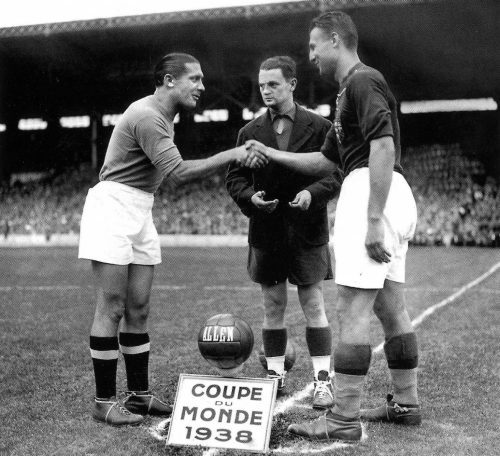 On June 19, 1938, Italian Captain Giuseppe Meyacha (left) shook hands with Hungarian captain Salosi at the start of the World Cup finals in France. 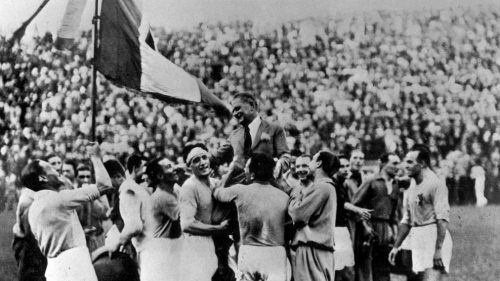 Italy defeated Hungary by 4:2 and became world champion. After the third World Cup in 1938, the World Cup could not be held for 12 years because of World War II. July 25, 1946, FIFA held a historic meeting in Luxembourg, decided to resume the World Cup, and named the Trophy Rimet Cup. The 1950 World Cup in Brazil became the first World Cup after World War II. 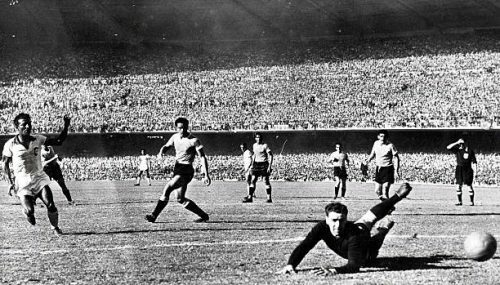 On July 16, 1950, Rio de Janeiro, Brazil, the World Cup final, Uruguay surprised 2:1 victory over Brazil. The Maracana Stadium draw a record influx of 200,000 spectators who witnessed the birth of a major upset at home defeat in Brazil. This incident is also known as the “Maracana Massacre”. After this setback, the superstitious Brazilians decided to replace their white shirts with blue ones and change their jerseys into green and yellow. 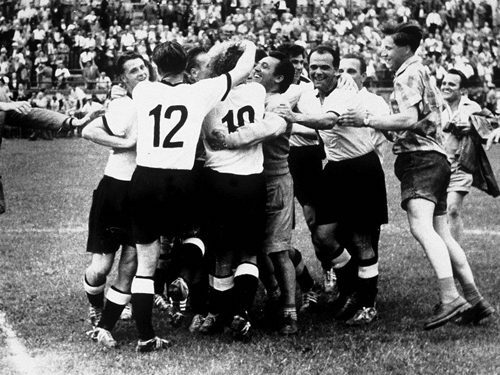 On July 4, 1954, Bern, Switzerland, the World Cup final, in the case of Hungary advanced two balls, West Germany three-ball reversal opponents won the championship, and just two weeks ago in the group game, the West German team had a 3:8 defeat to Hungary. 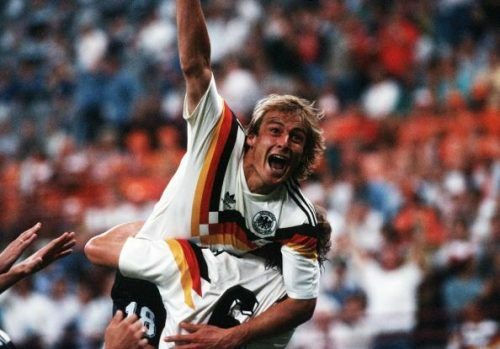 West Germany became the first non-seeded to win the World Cup. This competition is called “The Miracle of Berne” by posterity. 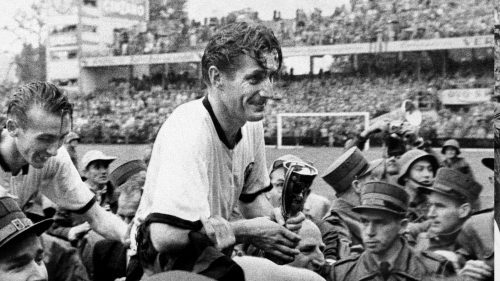 The victorious West German captain, Fritzwolt, celebrated the trophy with trophies at the end of the game. On June 29, 1958, the World Cup final, Sweden vs Brazil. under the 17-year-old Brazilian player Pelé, in the second half of the final 55 minutes, Pelé scored his famous goal, from the top of the guard, and then volley to the ball into the nest. 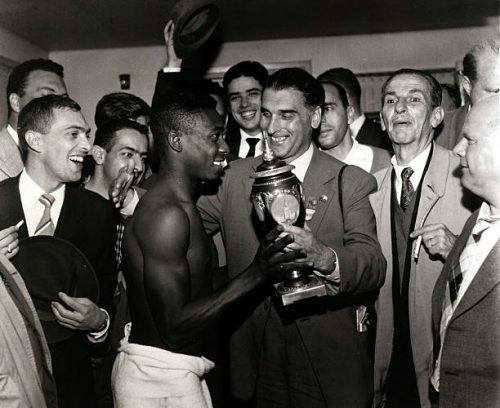 Many years later, Pelé said the goal was his most memorable one. 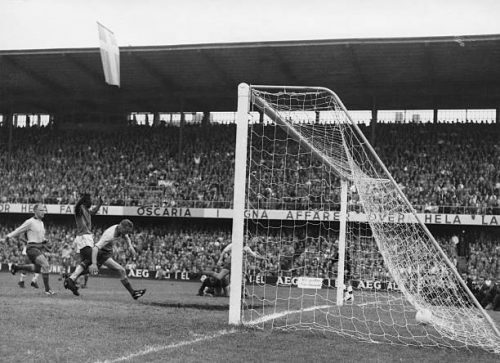 Fooled by the goal of Sweden defender Palin was also impressed and he was almost going to go up with Pelé to celebrate this wonderful goal after the game. In the end, Brazil won 5:2 against Sweden. The young Pelé took the trophy. 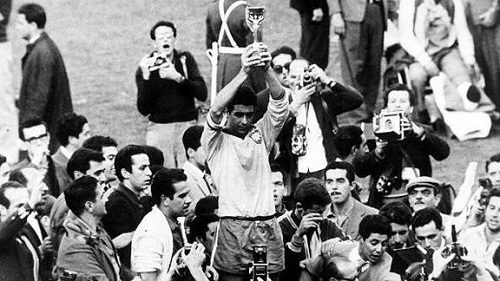 After the final, Brazilian captain Mauro raised the Rimet Cup. Brazil won the World Cup for the second time. 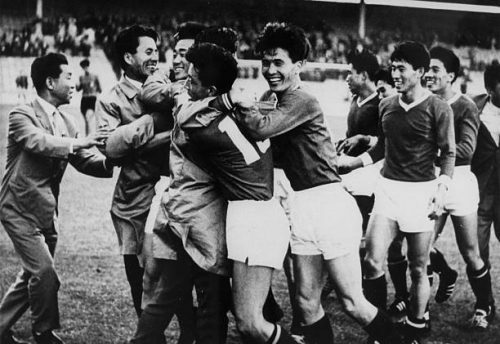 In the 1966 England World Cup, the North Korean team defeated Italy and shot into the top eight, one of the biggest suddenness in the history of the World Cup. This is the first time in the World Cup that Asian teams have been promoted to the tournament in the non-local World Cup. England defeated Germany 4:2 in the World Cup finals, London, July 30, 1966. 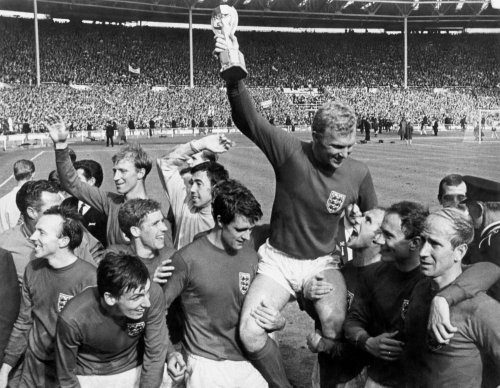 England captain Bobby Moore raised the Rimet Cup. As the birthplace of modern football, this is the only time England won the World Cup. The 1970 Mexico World Cup team, England against Brazil, England goalkeeper Gordon Banks completed the football history of a very famous save after landing. 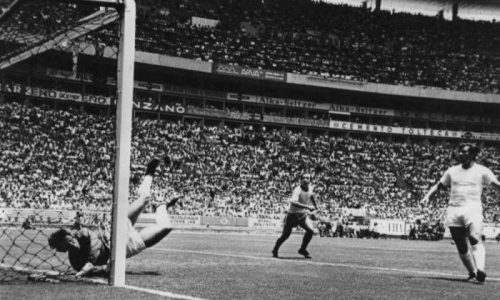 Brazilian player Pelé has turned to celebrate after putting the ball on the defensive far post, and Gordon Banks was blocking the ball with his fingertips on the door line. The fight was later called “The Century Saves”. 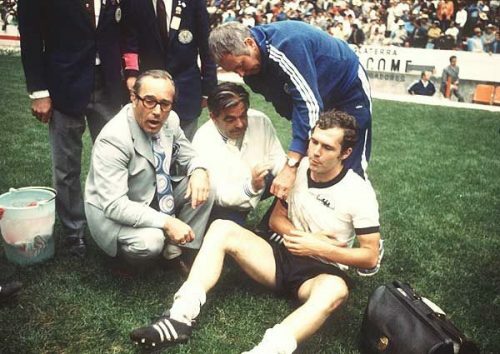 Germany’s Beckenbauer dislocated his shoulder during the semi-final match against Italy on June 17, 1970. Germany lost the game to Italy. 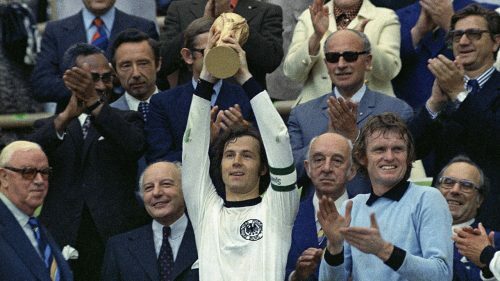 Beckenbauer pioneered the “free man” tactic in midfield when he was a player. He later became Vice President of FIFA and is now the Honorary President for life of Bayern Munich in Germany. On June 26, 1974, Gelsenkirchen, Germany, World Cup quarter-final, Holland Vs Argentina. 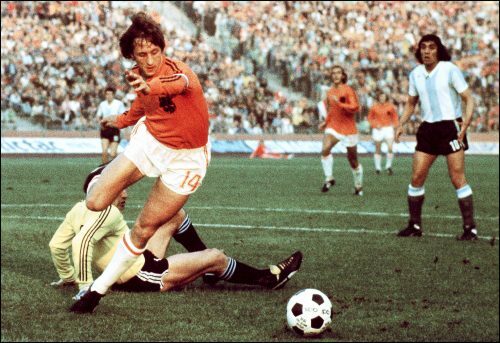 Johan Cruyff scored with the ball over Argentine goalkeeper Daniel Kalnewali. Known as the flying Dutchman, Johan Cruyff is the representative of Dutch football, but his career failure to win any major tournaments for his country is a lifelong regret. On July 7, 1974, German captain Beckenbauer cheered as Germany beat Holland in the final and won the World Cup for the second time. 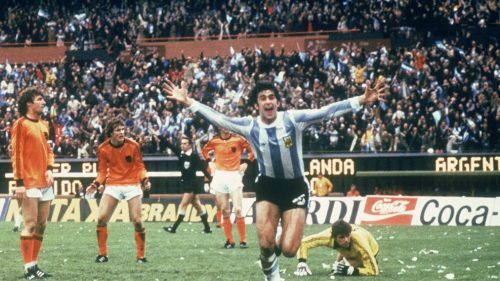 Argentina beat the Netherlands 3-1 in the World Cup final in Buenos Aires, Argentina, June 25, 1978. Argentine with Ken’s goal pace a 1-0 lead in the first half of the Netherlands, the Netherlands until the 82nd-minute equalizer. In overtime, Argentina’s Kempes and Bertoni two goals. 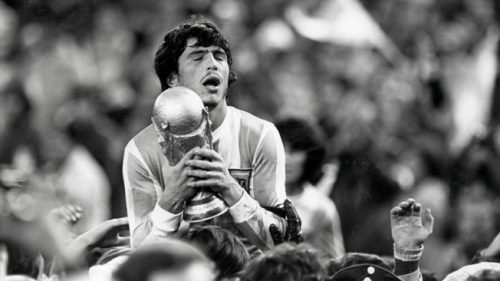 Argentina captain Daniel Passarella has picked up the World Cup trophy. On July 2, 1982, in Spain, a 22-year-old Argentine Diego Armando Maradona participated in the World Cup for the first time. 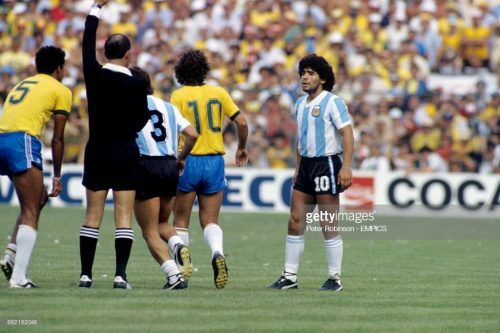 In the game against Brazil and Argentina in the 75th minute 3-0, Maradona was unbearable for youthful opponent’s invasion. In the 85th minute, he lifted up his thigh step to Brazilian defender Batista’s abdomen and then got a red card. On July 11, 1982, Bernabeu stadium in Madrid in Spain, Italy won over West Germany in the final, winning the championship. In the meanwhile, since 1982, the World Cup has awarded the Golden Globes to honor the most outstanding players in the final stage of the award. The first World Cup Golden Globes was for Italian player Giuseppe Rossi. 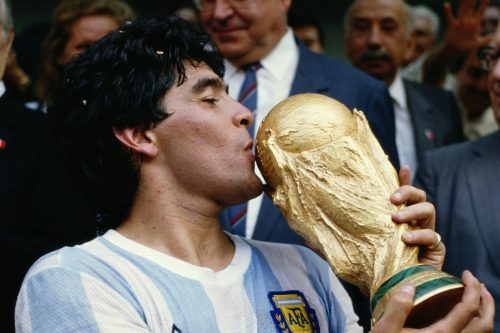 At the 1986 World Cup in Mexico, Argentina’s Diego Maradona became the focus of the world. On June 22, that year, in the World Cup quarter-final match between Argentina and England, Maradona put his hand into the goal of England and the referee ruled that the goal was valid. 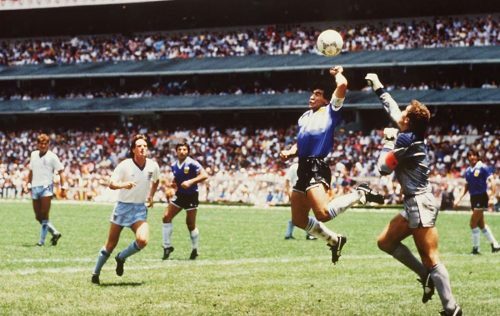 In a post-match press conference, Maradona declared that the goal was “half the hand of god and half the head of Maradona”.After this incident, people called it the “hand of God” when a ball was scored by hand in a football match and it was judged to be valid. 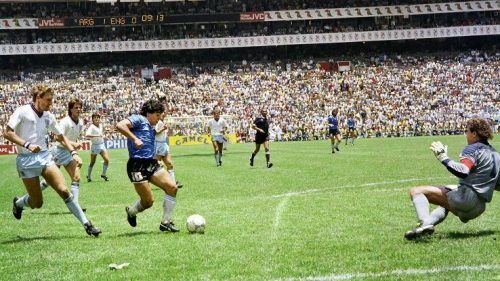 In the same game, shortly after the “hand of God” goal, Argentina’s Diego Maradona ran more than 50 meters to score his second goal with six men. The goal was one of the best in World Cup history and was called the “goal of the century”.The game ended with Argentina beating England 2-1. 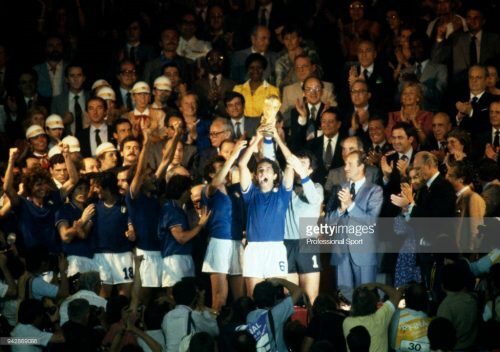 Argentina defeated West Germany 3-2 in the final. Diego Maradona also won the Golden Globe Award in this competition. 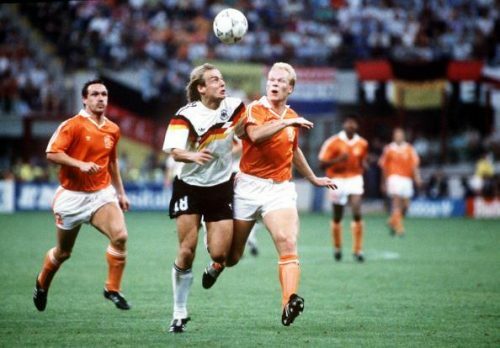 In the 1990 Italy World Cup, West Germany team had Matthaus, Bremer, Klinsmann, Vollers, Buchwald, Pierre Littbarski, Coral and Hassler and many other famous members. Led by the head coach Beckenbauer, they successively defeated Yugoslavia, Holland, Ceskoslovensko, and England, and broke into the final. On July 8, 1990, Rome, Italy, World Cup final, West Germany 1:0 Argentina won the World Cup. The final is a one-sided contest. The more powerful West German team is firmly in control of the situation. What they need to do is to break the deadlock. In the end, Argentina’s two red cards and the 85th minutes of a contentious penalty ended everything. After the game, Klinsmann was holding a cup of Hercules like a child crying. On June 22, 1994, Los Angeles, the United States scored in the World Cup group match against Colombia 2-1. Columbia player Escobar in the game scored a wrong ball. When he returned home, he was killed in 12 shots in the body. 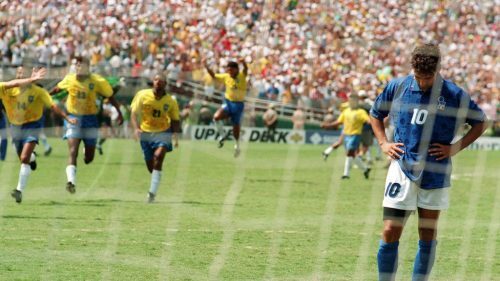 In the World Cup final, Italian striker Roberto Baggio has missed almost the most famous penalty in World Cup. In that summer, as Baggio stood at almost the most important moment in his life, he passed by happiness. His gloomy figure is also remembered by the fans. In the end, Brazil defeated Italy. After the game, the 17-year-old Brazilian player Ronaldo kissed the Hercules Cup. It was the first experience of Ronaldo’s career and he didn’t get a chance to compete. This is the fourth time Brazil has won the World Cup. 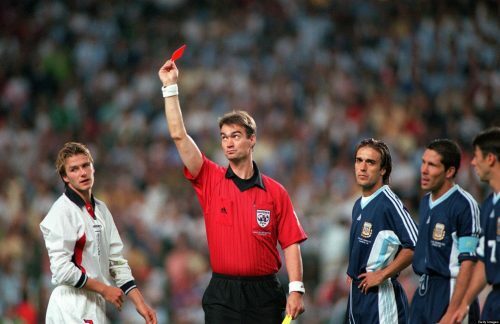 On June 30, 1998, the 1998 World Cup 1/8 Final, is also a world-renowned British and Argentina war, the final Argentine 4:3 England (penalty), England player David Beckham was sent off because he took revenge Simone (second right). After the game, Beckham was strongly condemned by the domestic public opinion, plunged into the trough of life, from the thousands of favorite beloved into the British outcast who was criticized. France’s red card, along with his iconic Bayesian arcs, has long remained in the memory of people. The Argentine player, Simone, is now the coach of the Madrid athletic team in Spain and won the annual coach of the International Federation of Football History and statistics in 2016. The England-Argentina game also made Michael Owen, the 18-year-old England striker, became famous. He staged a long-distance raid in the game and scored a goal. It was also a masterpiece of Owen’s career. In the World Cup Final, the French player Zinedine Zidane shook his head and scored a goal. 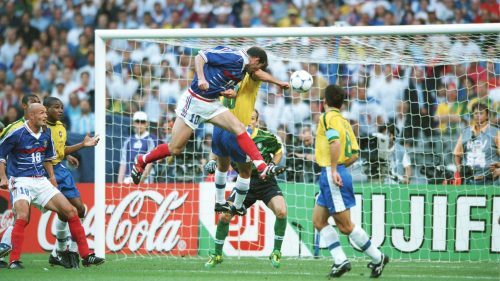 In the end, France defeated Brazil by 3:0 to won the championship at home. But the Brazilian players Ronaldo in the final played not well. This is the World Cup making people happy and sad. Whether it’s for a player or a fan, it’s a moment of memory. Russia’s World Cup is about to open, and fans will begin to write their memories. What are your memories of the classic moments of the World Cup?